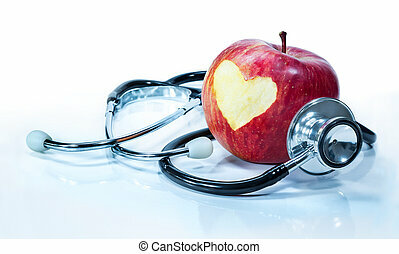 Health food concept as a cut tomato with a caduceus symbol and icon for medicine inside the fruit as a metaphor for the benefits of healthy eating and natural medicine from fruits and vegetables to reduce the risk of a disease. 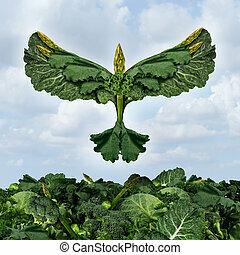 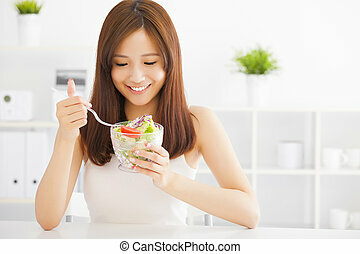 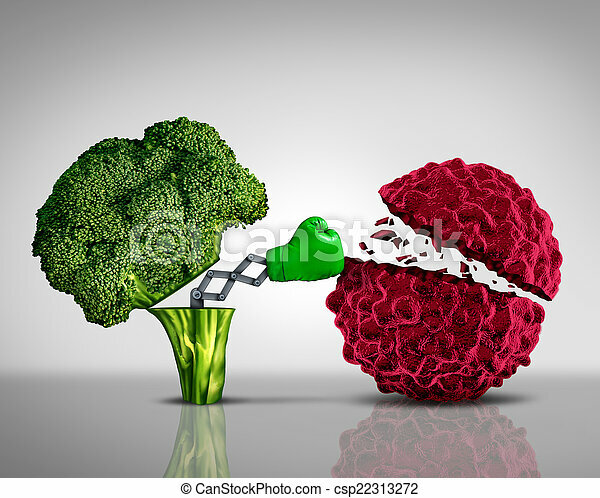 Health food freedom diet concept with green vegetables and dark leafy food shaped as a bird flying upward as a healthy eating symbol of the power of fresh garden produce organically grown as an icon of natural nutrition as kale swiss chard spinach collards broccoli and cabbage. 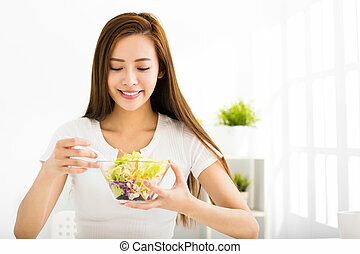 Food Health inspection and quality control for restaurants and kitchen meal preparation services as a plate fork and knife and a human eye looking out for the best choice in the contents of what we eat on white. 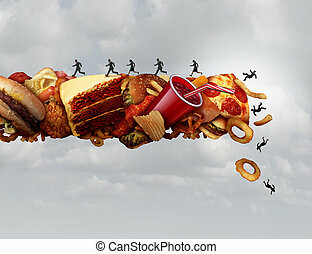 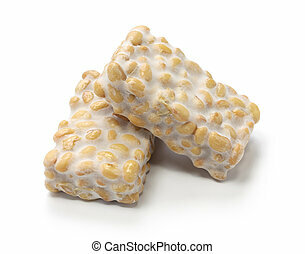 Junk food health risk nutrition concept as a group of people running and falling on a pile of high sugar sodium and cholesterol fat snacks as a diet metaphor for eating hazard with 3D illustration elements. 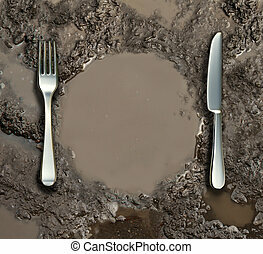 Food sanitation concept and global poverty symbol as a wet ground with a mud puddle of dirty water shaped as a dinner plate with a silver fork and knife as a metaphor for contamination health risk. 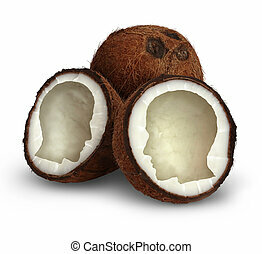 Brain food and natural therapy with a healthy eating diet concept as an opened organic coconut seed in the shape of a human head as a symbol for foods that are nutritiuos containing essential vitamins and minerals for good health. 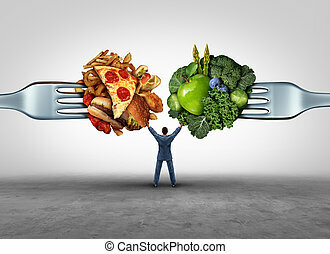 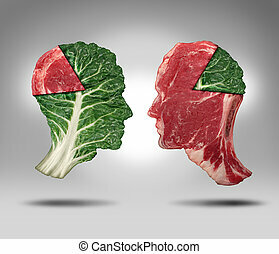 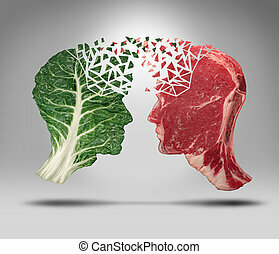 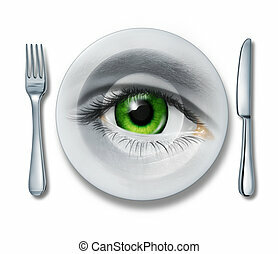 Food balance and health related eating choices with a human head shape green vegetable kale leaf with a piece of meat as a pie chart facing a red steak with the opposite situation as a lifestyle for nutritional decisions and diet or dieting dilemma. 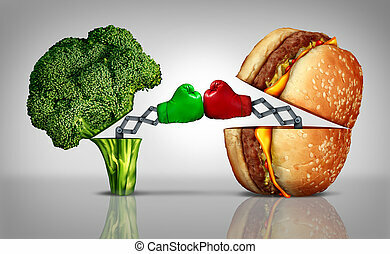 Food fight nutrition concept as a fresh healthy broccoli fighting an unhealthy cheese burger with boxing gloves emerging out of the meal options punching each other. 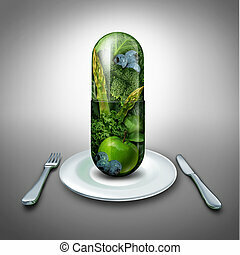 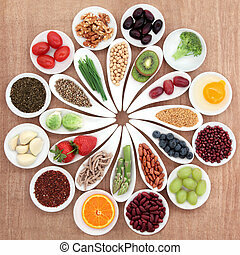 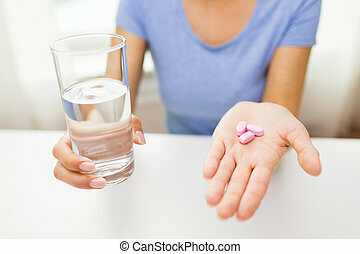 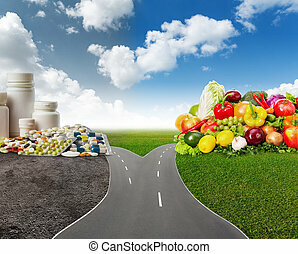 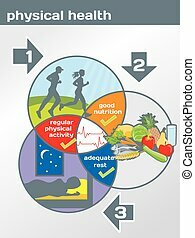 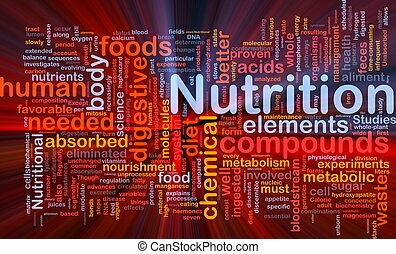 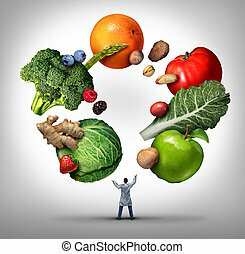 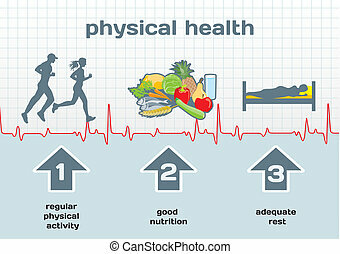 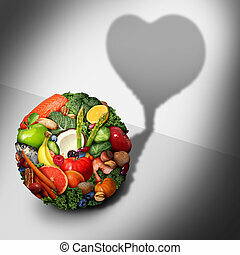 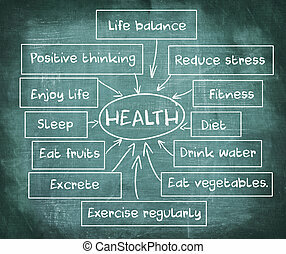 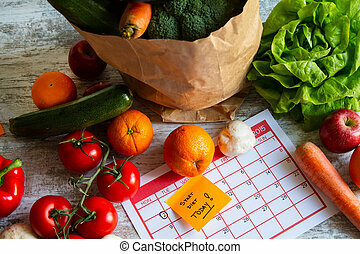 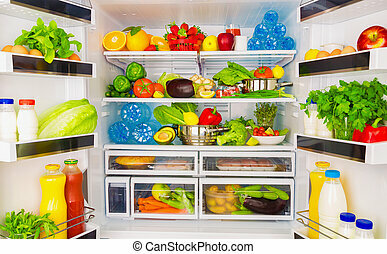 Nutritionist doctor or dietician and dietitian professional health food concept as a medical physician juggling fruits vegetables and nuts as a nutritionist professional advice symbol.